All formula are enriched with high concentrations of micro nutrients. ANDA can produce most formula according to the soil condition report or the requirements of our clients. 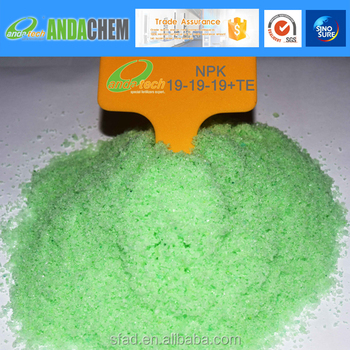 NDA CHEM is the manufacturer of MKP MAP NOP UP DAP NPK water soluble fertilizer for more than 16 years. We started our international business from 2005 and exporte our products to many countries overseas. We must be the trustful and serious partner, OEM is valiable, please contact me.